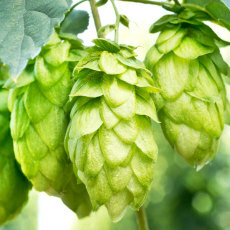 Ever wanted to brew with hop cones picked FRESH from the garden? We here at Great Fermentations, in partnership with Three Hammers Farms in Knightstown, IN, are offering you this unique and awesome opportunity to do just that! We will be offering Cascade wet hops by the pound that are available by pre-order only. See important dates below, and make sure to get your orders in! Don't know what to brew with wet hops and need a recipe? Have no fear! 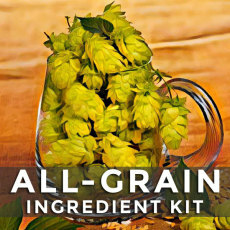 We've also come up with a Fresh Wet Hop Pale Ale Ingredient kit, for those not wanting to start from scratch with a recipe! These are available by pre-order as well! The fresh wet hops will be picked by Three Hammers Farms on the morning of September 10th, and MUST BE PICKED UP FROM OUR INDY OR AVON STORE THAT SAME DAY!!!! YOU NEED TO BREW WITH THEM WITHIN 24-48 HOURS OF PICKUP AS WELL, or they will start to quickly lose their potency. So, plan your brew day accordingly! We are unable to refund orders that are not picked up! AVON CUSTOMERS: Please plan on picking up your fresh wet hops after 2 pm on the 9/10, as we will have to receive them at our Indy store, and then transport them to Avon. Cascade Fresh Wet Hop Cones - 1 lb. 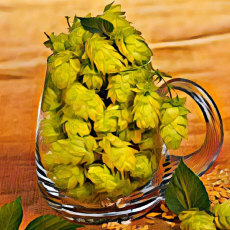 Make your own wet-hopped beer! Show off the aromatics of Cascade hops that have been freshly picked! Gives you a rare opportunity to use wet hops in your brewing!